What we love about white plates is that you can decorate them with beautiful, colorful napkins. This does not work for plates sporting patterns. 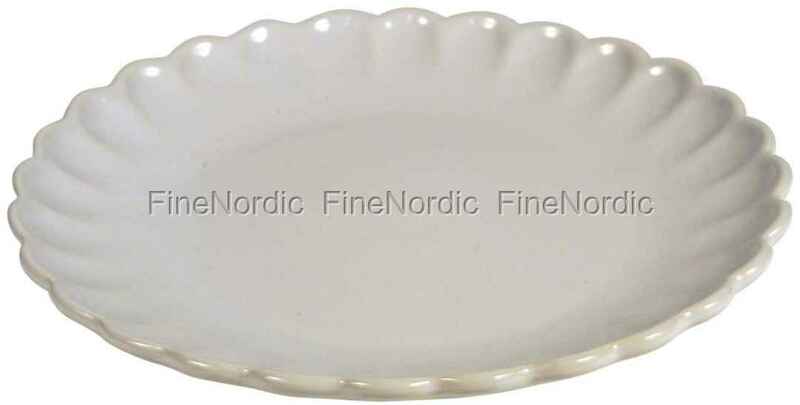 And the Ib Laursen dessert plate Mynte Pure White is literally screaming for a colorful napkin. The well-known Mynte riffle design is also reflected in this plate. And if you like it a bit more colorful on the table, then you can add some of the different colored Mynte plates to it. The plate is super handy, because it is allowed just about anywhere. It is allowed in the dishwasher, it is allowed in the freezer, it is allowed in the oven AND it is allowed in the microwave. A stylish white plate that can do that much, CANNOT not be a part of your household.